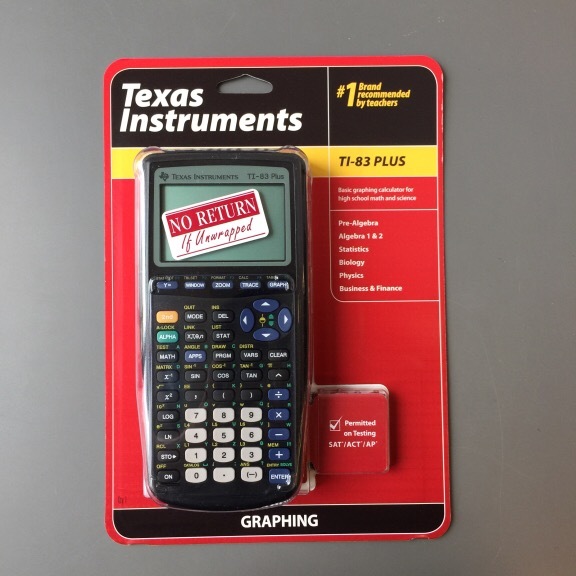 Texas Instruments TI-83 Graphic Calculator. Basic graphic calculator for high school math and science. Pre-Algebra, Algebra 1 & 2, Statistics, Biology, Physics, Business & Finance.